Daily Illuminator: Kickstarter: Ogre Battlefields Project Closes Tomorrow! December 27, 2018: Kickstarter: Ogre Battlefields Project Closes Tomorrow! Tomorrow, the Ogre Battlefields project comes to a close, and we start to finalize the files for publication. The majority of the work is already completed; next week, we will make our final checks/corrections and then send the files to our partners at GPI (possibly as soon as the second week of January). They'll start the work of preparing the first proofs, but we're unlikely to see the tooling samples until early March (after the factory's Chinese New Year break). If all continues as scheduled, we'll deliver the Kickstarter rewards in July, on schedule and as promised in the campaign. So, this is your last chance to back the Kickstarter before it closes. Next month, once our team has recovered from the holiday break, we'll open the BackerKit survey and preorders, so don't stress too much if you miss out on joining in the project before it closes; there are no Kickstarter exclusives. Thanks for the support (all stretch goals are unlocked! ), and we'll see you next year for new Ogre projects! 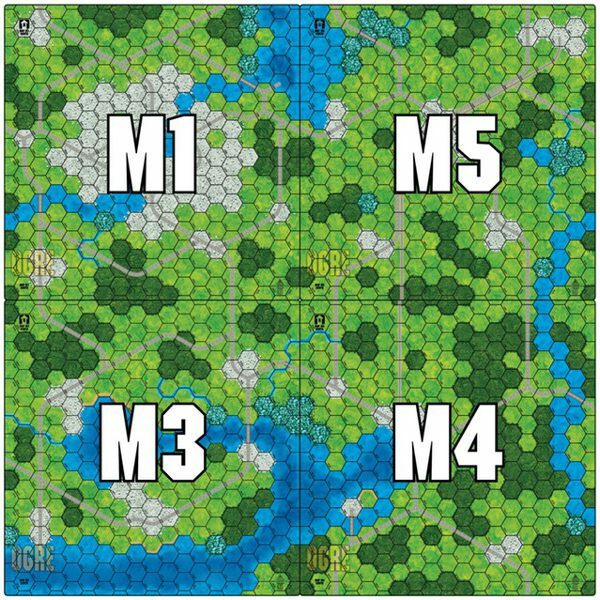 NOTE: In addition to the new gameboards and die-cut counters, the Ogre Battlefields campaign is also offering Ogre Playmat M4 and M5, two completely new designs! Ogre Playmat M1, M2, and M3 are also being offered . . . in case you missed out on the earlier releases of those two playmats.